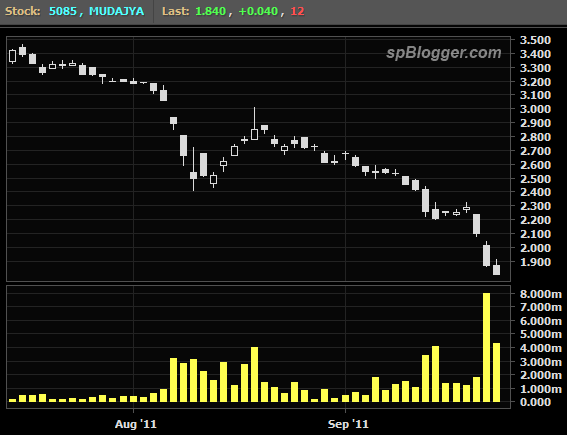 Mudajaya target price was downgraded again by both CIMB Securities and OSK Research. Reason? Managing Director (MD), Mr. Ng Yin Loong (may be regarded as the founder of Mudajaya) has tendered his resignation. CIMB Securities increased its RNAV discount from 20% to 30% in view of the short-term concerns that this change in leadership. While OSK Research increased SOP discount from 30% to 50%.